Y'know those handy products that you use almost everyday single day, so much so that you forget to share them with everyone? Yip, those ones. I adore perfume and when I find the perfect scent I buy the biggest bottle I can. The main problem with this? A 100mls bottle of YSL is not ideal for carrying around everyday or hand luggage friendly while travelling. Step up The Rose Gold Twist & Spritz Refillable Perfume Atomiser Spray*. 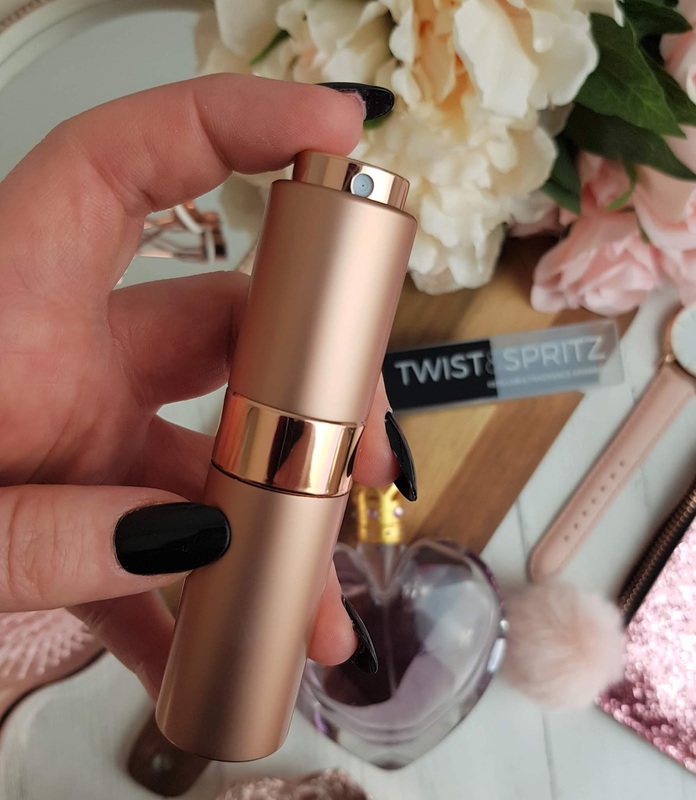 One of the cutest, handiest accessories in my collection, this atomiser is exclusive to The Perfume Shop and comes in at just £10. It's super easy to fill with 8ml of your favourite scent and currently comes in over 16 different styles to suit any style. 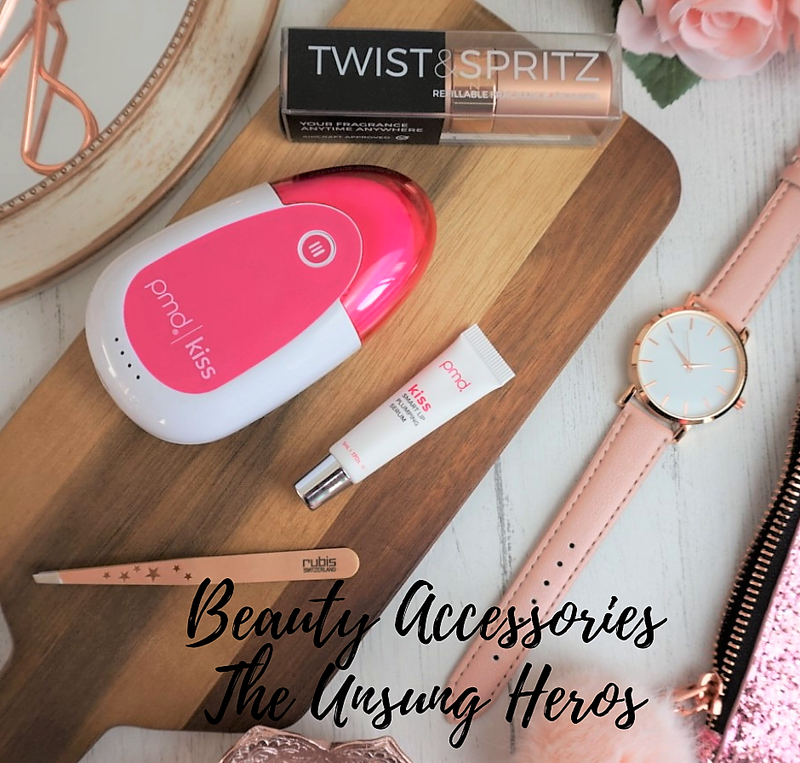 I love the Rose Gold packaging of my bottle, it's sleek and is an ideal size, even for a clutch bag. The twist closure helps protect the bottle from accidentally spraying while in my bag and the 8ml of product that I decanted into it seems to be lasting forever. A product that has been in my collection for a few months now. I have naturally thin lips and as I'm getting older it's something I'm noticing even more. I and have considered a small amount of fillers in the past but the upkeep of that type of treatment is expensive and ya girl ain't a millionaire. 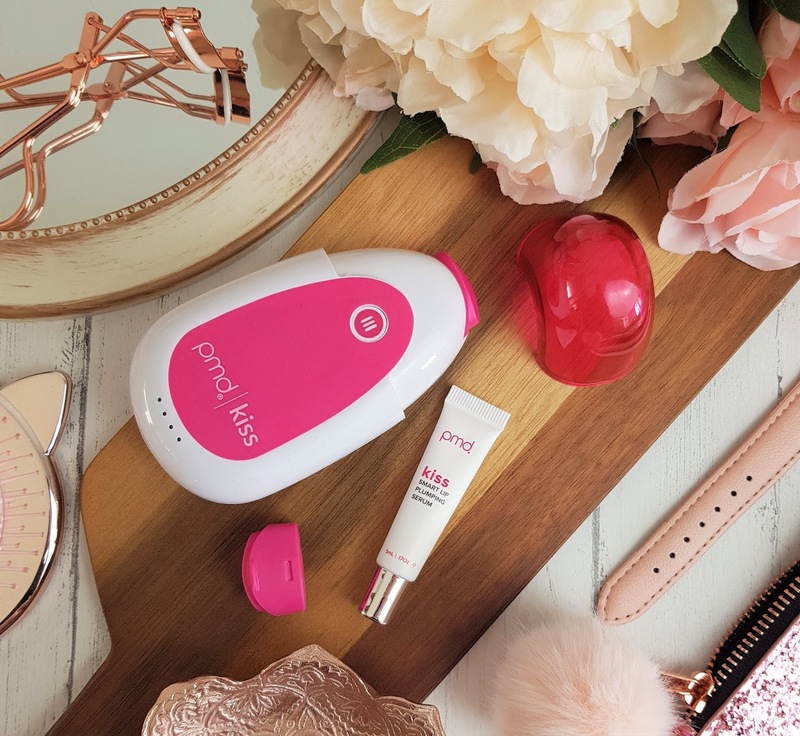 The PMD Kiss Lip Plumping system uses patent-pending vacuum technology that initially I was sceptical of, I remember a few years ago there was a online craze of people using mad suction products on their lips that caused bruising etc. The PMD Kiss is gentle and can be used daily with their Smart Lip Plumping Serum which is infused with hyaluronic acid (although you can use any serum). The device helps increase the blood flow to the lips, enhancing collagen production and in turn, helping fade any fine lines. 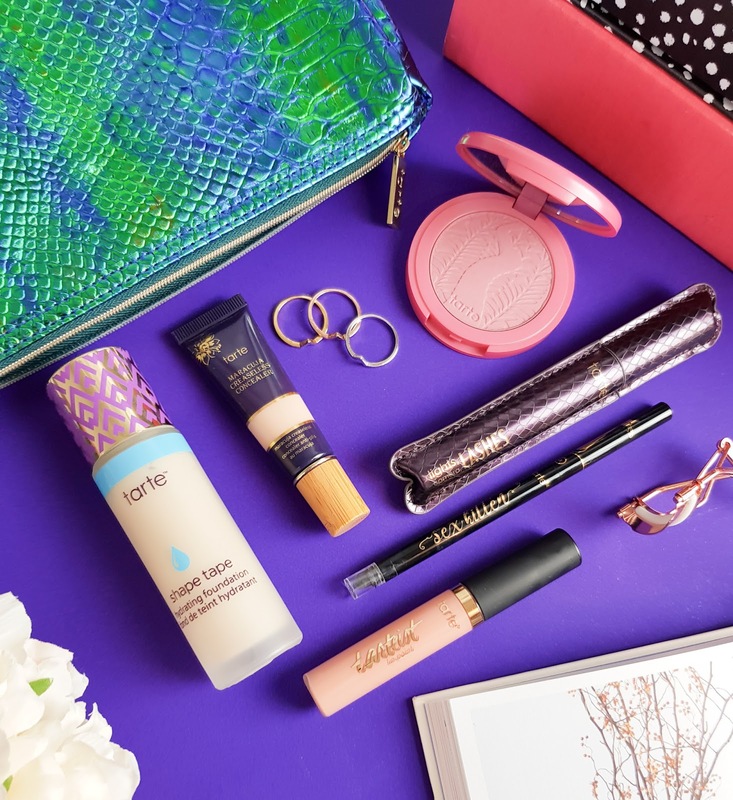 On first use, I saw a rosy, natural plump to my lips and over time with daily use, I think they now appear fuller and more youthful and my favourite lippies apply much more evenly. This is a gadget that I don't want to be without now. Once you find that perfect pair of tweezers, you won't go back and that's exactly what happened to me when I discovered Rubis tweezers last year. 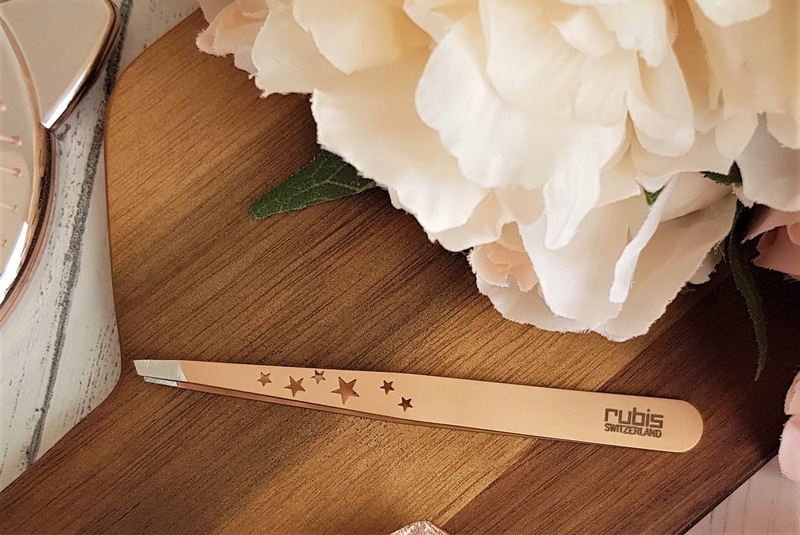 These beautiful Rose Gold Rubis* tweezers are the latest addition to my make up bag and you really get what you pay for with these. I've gone through many pairs of tweezers in the past with not much loyalty to any brand as they just did the job. Since I tried my first pair of Rubis tweezers last year, I've been converted. Rubis are a Swizz brand, well known for their high quality craftsmanship. Their tweezers were originally deigned for the Swiss watch industry but they then developed their range to include the beauty industry. 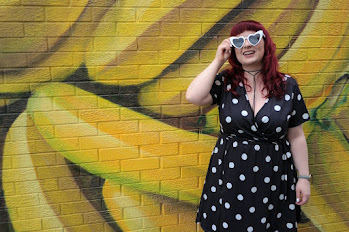 They are now wildly available on the likes of Cult Beauty and Look Fantastic. The tweezers are rustproof, anti-magnetic, made of surgical steel and available in many different styles. I like to spend the least time possible tweezing my brows and the precision tip on these Rubis tweezers manage to catch even the shortest, finest hairs. Plus, my new set are Rose Gold, what's not to love?! What beauty accessory do you swear by? I really like the sound of the PMD gadget for plumping lips mine need it!! And the perfume spritzer is such a good idea too! I had a plain set last year that I still use but this new set are just too prety not to share.